This statistic charts the mean age of mothers at childbirth in the United Kingdom from 2000 to 2017. 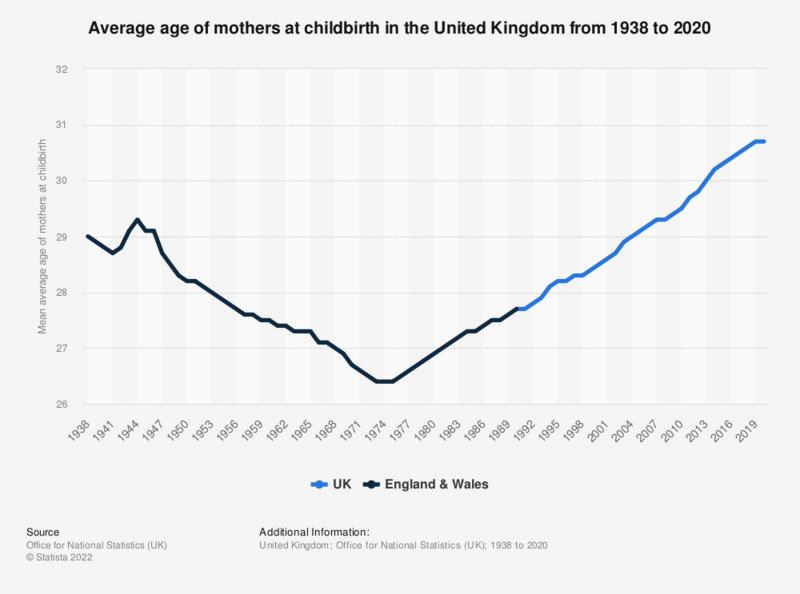 Throughout this period there has been a clear trend of mothers having children later in life, with the average age of mothers in the UK increasing from 28.5 in 2000 to 30.5 by 2017. The standardised mean (average) age of mothers at birth is a measure which eliminates the effect of year to year changes in the age-structure of the female population and therefore enables comparisons over time and between countries. Standardised means are calculated using rates per 1,000 female population by single year of age of mother.